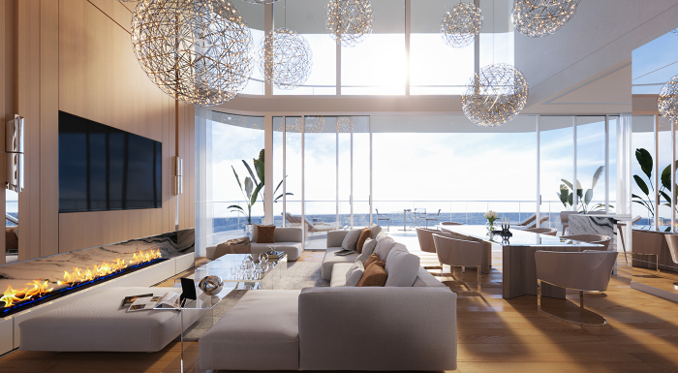 Ocean breezes, hot sand, and sunny days are the inspirations for this ornate and lavish interior style. Large glass windows open up the rooms with bright Florida sun shining in to give the client the sensation of being on the beach. During the daytime, the white walls and light furnishing are energized by the sunlight. At night, carefully positioned adjustable track lighting gives the main living space a variety of different offerings. 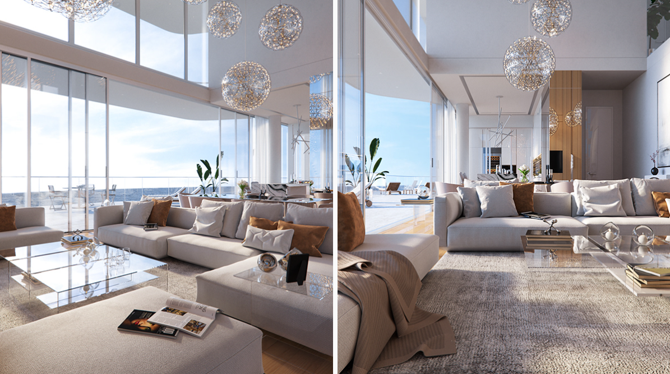 This was designed for a client who wanted to experience their love of the beach inside their penthouse home. When we were crafting this design, that ambition was ever present on our minds.This style evokes comfort and modern aesthetics that we use to keep the beach theme present throughout the interior of the residence. The first thing this style takes advantage of is the wonderful, natural splendor that comes with having Florida sunshine as a resource. Windows, along with floor plans, were used to create an open and airy feel throughout the entire home. 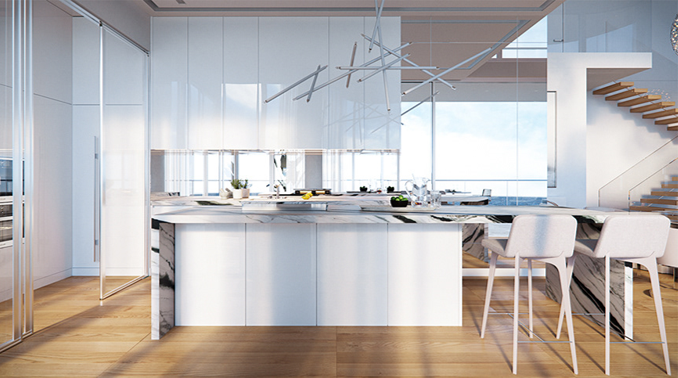 We designed the space so that the home always feels airy and warm. Many of our clients enjoy the feel of a cool breeze wafting through their homes, and this one was no exception. Beach living doesn’t just mean sunlight. It’s a multi-sensory experience, and we wanted to incorporate the light smell of salt in the air with this home’s feel. Our stylistic design is ideal for entertaining friends at a casual “beach” party or even a more formal affair. 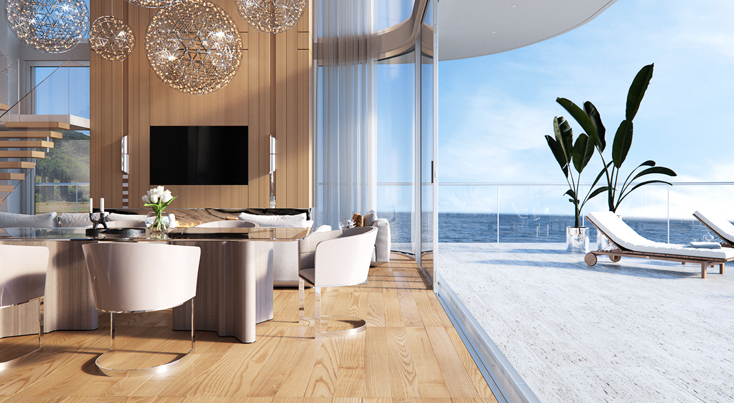 Even when the windows are closed, our designs allow you to feel like you’re on the beach, not only because of use of large and plentiful windows, but because of the neutral colors and natural materials used to create this beach-like aesthetic.